The Fair Labor Standards Act (FLSA) is a federal law that addresses minimum wage, overtime pay and equal pay, among other things. FLSA Retaliation occurs when an employer retaliates against its employee for exercising his or her rights under the FLSA. What Remedies are Available for FLSA Retaliation? 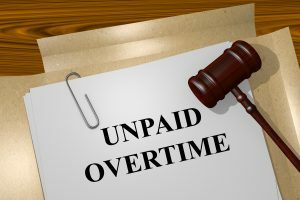 Any employee who is retaliated against for exercising his/her rights under the FLSA is entitled to various remedies, including reinstatement, lost wages, and an additional amount as “liquidated damages,” as well as attorney fees and costs. Employees are protected regardless of whether the complaint was made verbally or in writing. Complaints made to the Department of Labor are protected and most courts have ruled that internal complaints to the employer are also protected. Why do I Need an FLSA Retaliation Lawyer? Often times governmental agencies will try to assist a victim of FLSA retaliation. At Hutchison & Stoy, PLLC, we applaud the government’s efforts to assist its citizen in pursuit of the justice they are owed. However, we all know that State and Federal government employees are typically overwhelmed by the amount of work they have to do. If you consult a Fort Worth FLSA attorney at Hutchison & Stoy, PLLC, you can rest assured that someone is handling your case with the close attention to detail it warrants. If you or a group of fellow employees have experienced FLSA retaliation or even believe FLSA retaliation has occurred, contact a Fort Worth FLSA attorney at Hutchison & Stoy, PLLC at (817)820-0100 or fill out a free case evaluation online.